Hello blog friends. I hope you're all staying warm this winter as it's cold in some parts of the world. I have a fun project that you might like to crochet and keep your hands warm this winter. Me Sampling the Crochet Gloves I Made! Before the holidays, I started back at the beginning of November, making six pairs of crochet fingerless gloves for my daughter and her college friends. I wanted to make them so that they could have a handmade gift for Christmas. 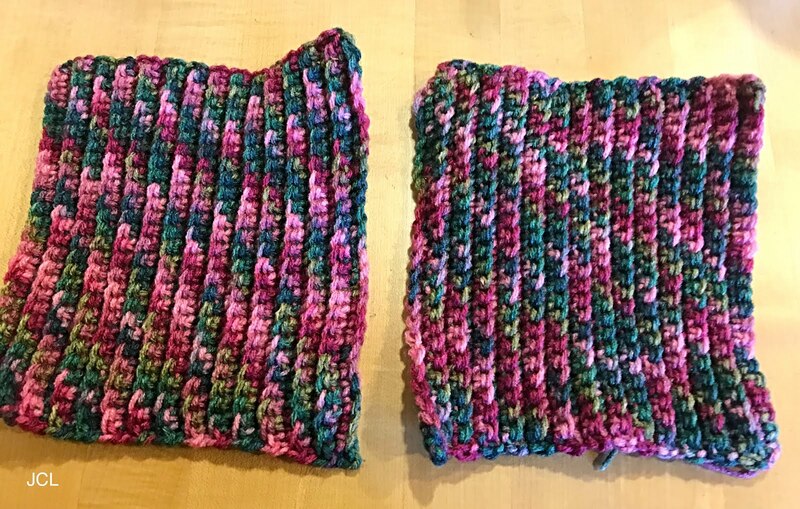 I was inspired to make these when my friend from my crochet group was making these for her daughter. I thought that this would be a fun project for me too. 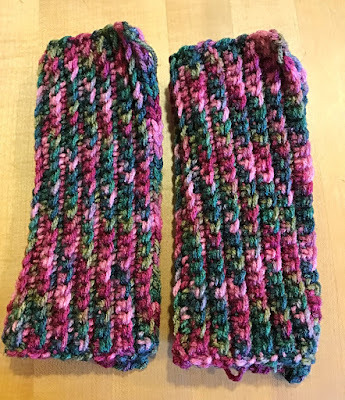 The pattern to make these crochet fingerless gloves can be found on YouTube with Fiber Spider. You just have to type in on YouTube easy crocheted fingerless gloves tutorial and look for Fiber Spider. 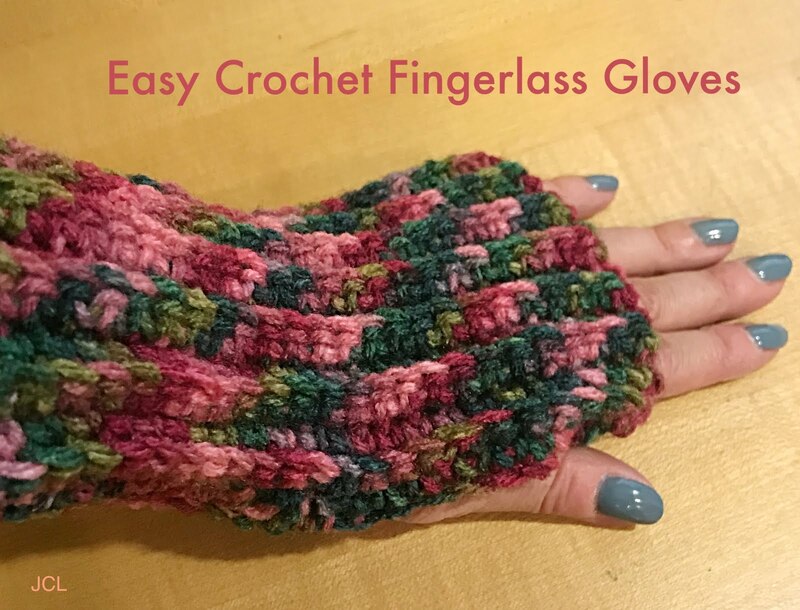 I watched the video from Fiber Spider on how to make these crochet gloves. He explains the process really well and shows you how to make these easy crochet fingerless gloves. It's really a lot easier to watch a video when making different projects. 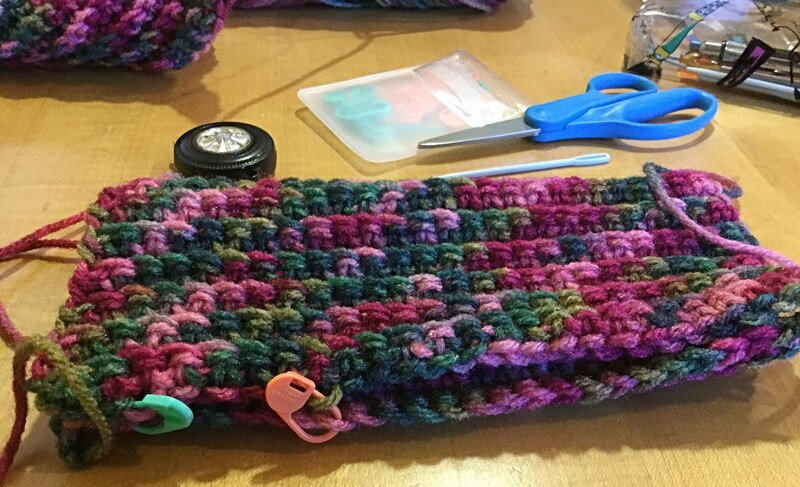 I used medium worsted weight yarn that was variegated in different colors and black yarn. 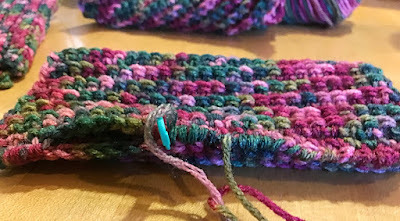 I chose this kind of yarn because they can easily be hand washed and will keep your hands warm. 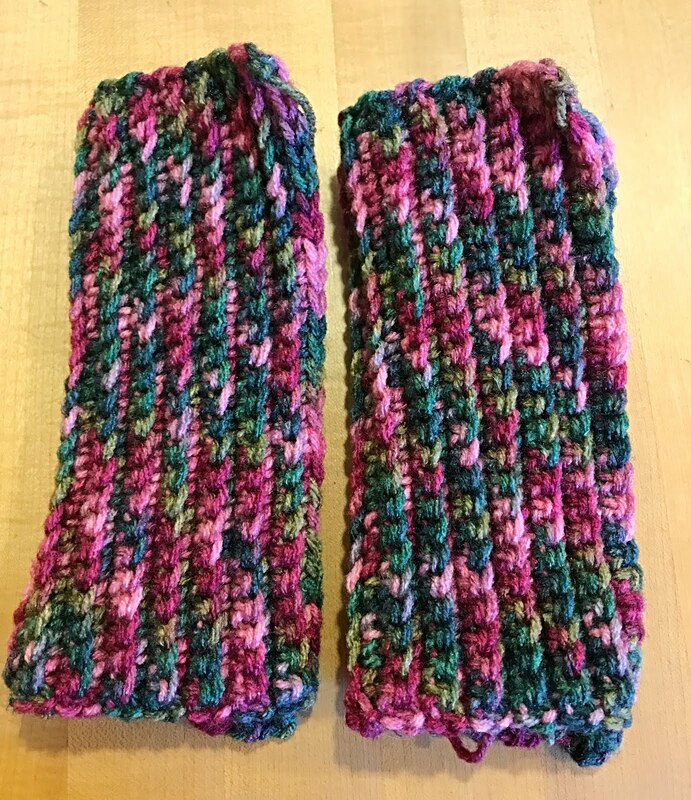 The stitch that I used to create these gloves is the single crochet in the back loop. Below you can see the photos I took of the crocheted gloves I made. I hope I've inspired you to make them too. Stay warm everyone and see you all soon. 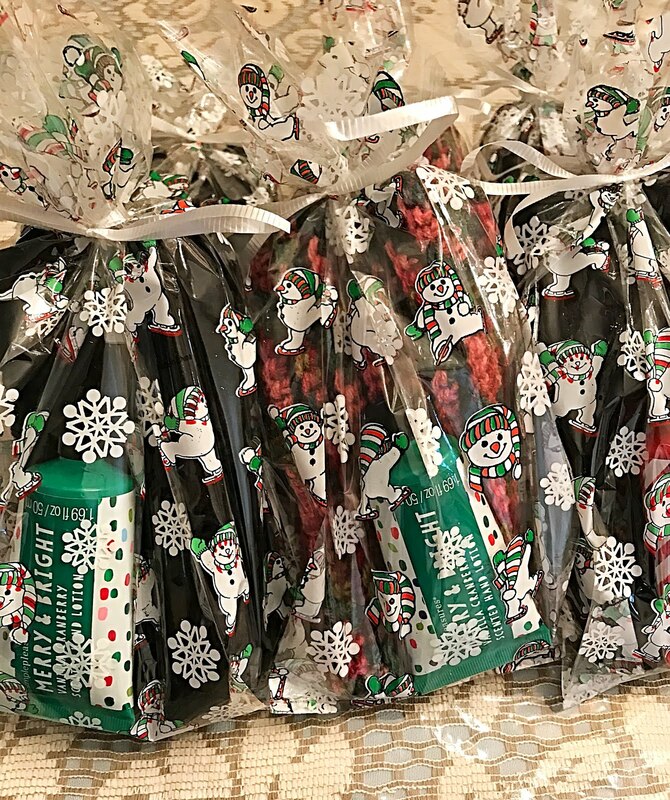 What a fun idea for a gift bag! I try to remember to put lotion on the backs of my hands when I walk. It sure helps! Love all of your projects! I love COLOR!!! Hugs! Wow! this is easy but looks so elegant. Aww this is such a sweet idea!! I bet they all loved them. They turned out really cute! 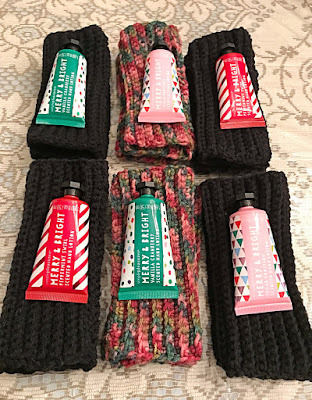 The gloves are so cute, but mostly, I am loving the idea of you taking the time to make something special for your daughter's friends! What a wonderful gift idea, Julie! 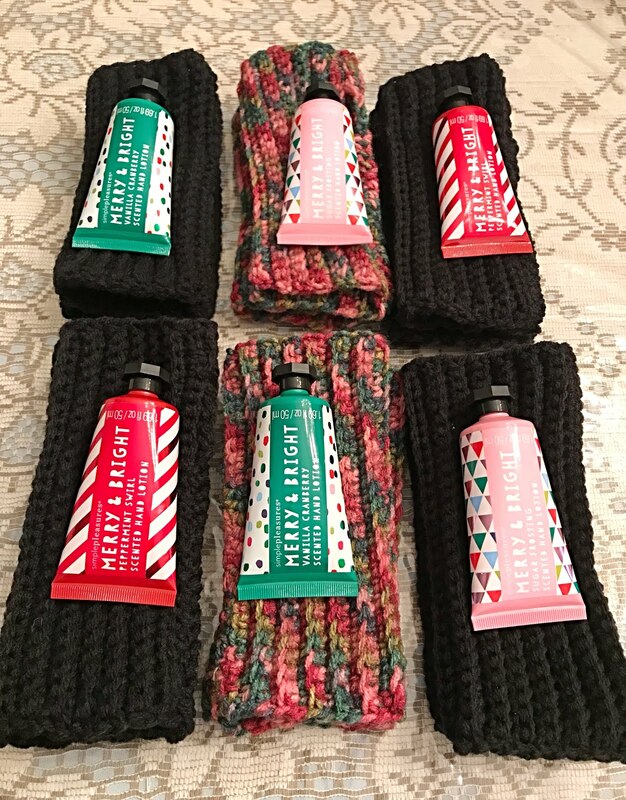 Your gloves turned out so pretty, and the hand cream was a nice bonus. 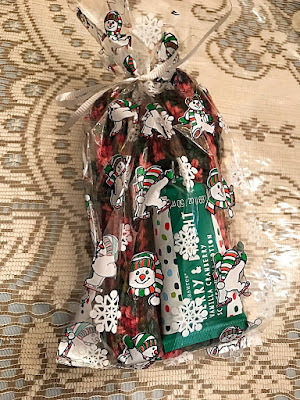 What a great gift and I have been wanting some myself! They look easy enough, thanks so much Julie! Oh my gosh, these are my favorites!! I wear a pair all the time...and sometimes in the house when I'm cold. What a beautiful job you did. And btw, your nails are gorgeous. What a great color!! 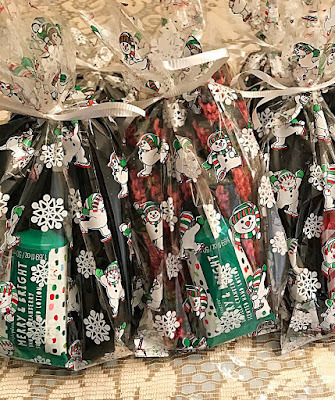 These are so lovely, Julie! Thanks for sharing at Vintage Charm! These gloves are beautiful, Julie, and would be perfect for me. I have Renauld's syndrome in a few of my fingers, and have recently been told keeping your wrists warm can help. Our grocery stores are very cold, so I could even wear these when shopping!